The City of Nevada’s Animal Shelter is located on S 1400 Rd. From Austin Blvd take Prewitt Street (located between Woods supermarket and Delway) south. Follow the road as it curves west and then back south. You will go down a big hill and cross some railroad tracks. We are located on the west side with a chain link fence all around. The Animal Shelter is operated by the Public Safety Division. 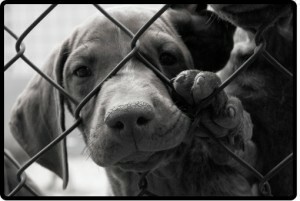 Our mission is to house and care for all animals impounded within the city limits of Nevada. The Animal Shelter does not accept any animals from outside the city. The Animal Shelter has 12 large dog runs, 6 small dog runs, 4 dog quarantine runs and 12 cat cages. Employees care for the animals 7 days a week. Animals are fed and watered on a regular basis and receive limited medical treatment. The Animal Shelter holds animals to be reclaimed by the owners and/or adopted to new owners. The shelter also confines aggressive/dangerous animals for public safety reasons. Fees will be charged according to the situation. Reclaim animal– There will be a $10 dog/ $5 cat impound fee and $4 a day boarding fee. (example- A dog impounded for 3 days will cost $22 to reclaim). If the animal has received any medical treatments those cost will be added on as well. Adoption– Animals may be adopted from the shelter after they have been held for 5 days. This gives the original owner time to reclaim the animal or notify the shelter they intend to reclaim. The city charges a small adoption fee plus a spay/neuter fee on all animals over the age of 6 months. Under 6 months a deposit is required in lieu of the spay/neuter. The adoption fee covers all medical treatments given at the shelter and microchipping with an AVID microchip. Transfers– The City of Nevada does transfer animals to rescues as allowed by Missouri Statute. Organizations must present an Animal Care Facility License to shelter personnel. Transfers to Licensed rescues is free of charge. The City of Nevada does not knowingly adopt sick or aggressive animals to anyone. Any animal not able to be adopted or unsafe to handle/care for are taken to be euthanized. Animals not reclaimed or adopted after 15 days may be euthanized. The staff at the shelter attempt to place/return as many animals as possible via adoptions, reclaims and transfers to rescues. Also available at the Animal Shelter is the yearly dog license. All dogs, over the age of 6 months, within the City of Nevada are required to have a dog license and for that license to be attached to the dog at all times per 5-25b of the City Code. License can be purchased at the Shelter or the Public Safety Building located at 120 S Ash. Please bring the animal’s current rabies vaccination certificate. 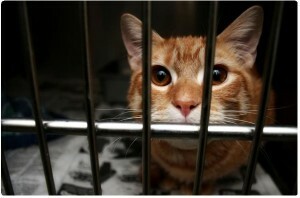 Surrendering animals– resident of the city may surrender, free of charge, any cat or dog to the city shelter. Proof of residence will be asked for. Owner surrenders are always on a space available basis and must meet certain criteria. Animals must have current rabies shots, vet records in owner’s name and be adoptable among others. For any questions in our services please contact the shelter staff at 448-5109 during our regular business hours. In case of emergency or after hours contact the Nevada Police Dept. at 448-5100. You can also see the CURRENT Animals at the shelter on Petfinder.com and on the Nevada Missouri Animal Shelter Facebook web page. The City of Nevada reserves the right to change or modify all prices and policies without notice.